‘Thunderbirds’ star Sophia Myles rockets into fashion wearing this season’s electric Sixties prints. Think pink? 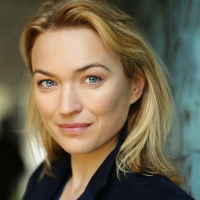 Sophia Myles would rather not. She spent months wearing nothing but for the role of Lady Penelope, the English glamourpuss with a penchant for the colour, in the forthcoming film, Thunderbirds. “I’ve almost grown to love it,” laughs 24-year-old Myles. “Although I’m more of a jeans person, more of a tomboy.” Still, this vicar’s daughter from Middlesex is no stranger a bodice – currently giving Keira Knightley a run for her money as Hollywood’s favourite English rose, Myles made her name in corset capers such as Mansfield Park. With international stardom so close, she can now forget pink and think red carpet instead.